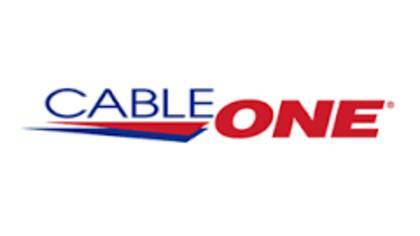 Cable One is an American cable company that is the 13th largest cable provider in the United States. Cable One provides wireless internet services, HD programming, and phone services to customers. To get in touch with a live customer service agent at Cable One, click below. How to Speak to a Live Person: Call 888-715-3291 and you will be place on hold to speak with a live customer service agent at Cable One. The email is faster than calling to get in touch with a live customer service agent at Cable One.